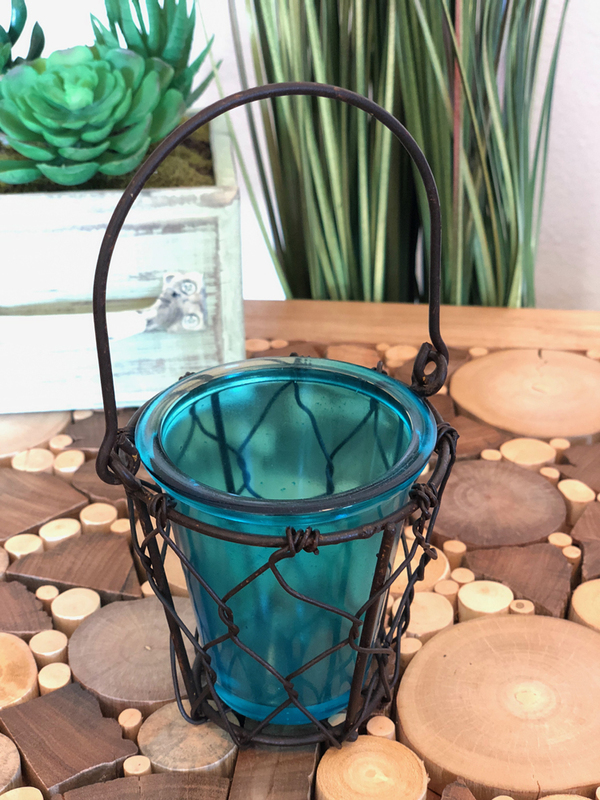 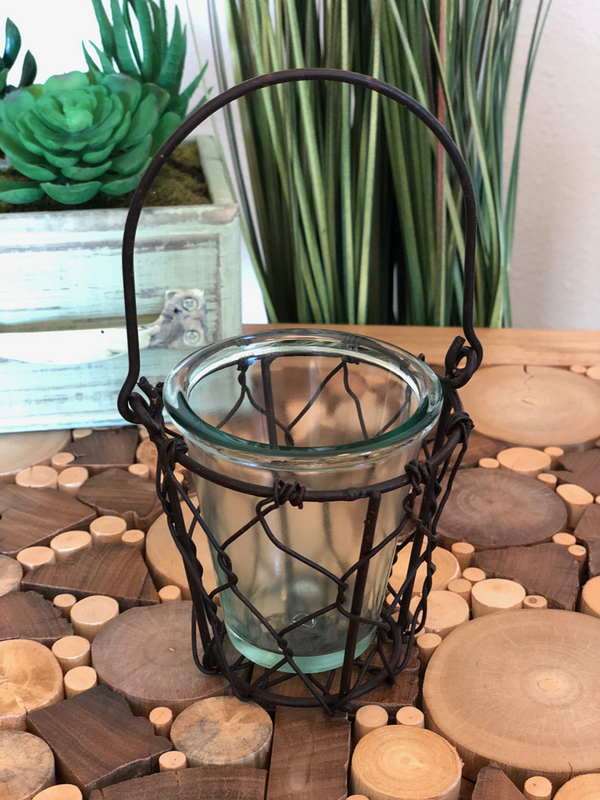 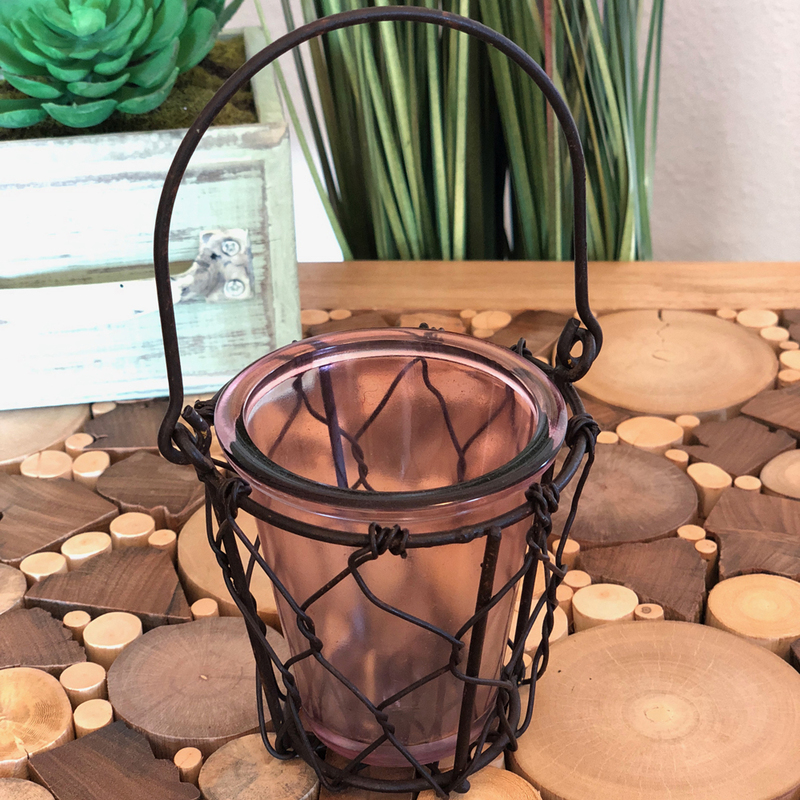 Features an antique rust finish and a wire mesh basket. 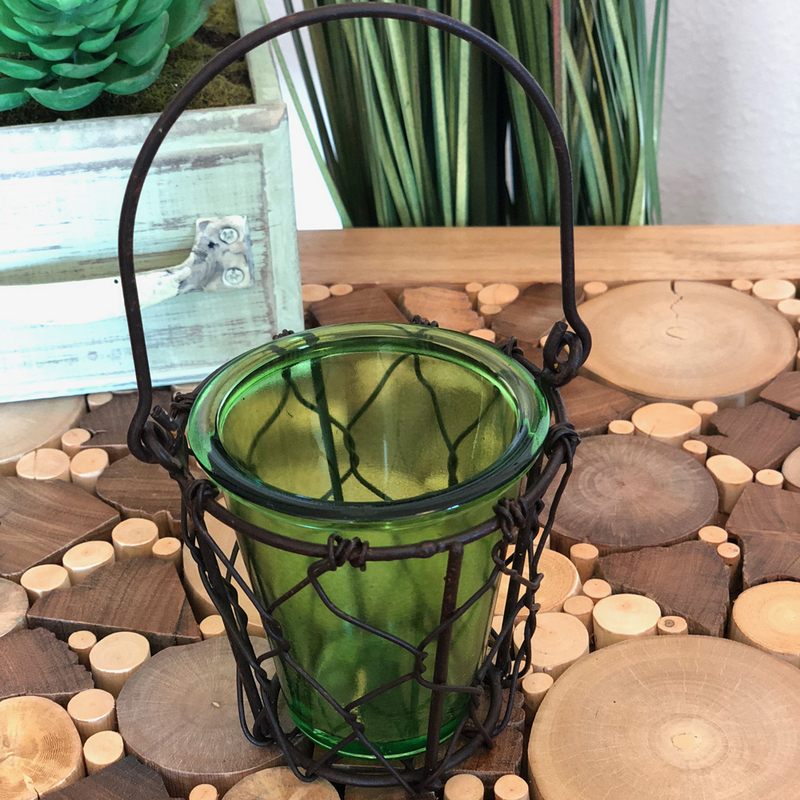 Framed in wrought iron it includes a movable handle. 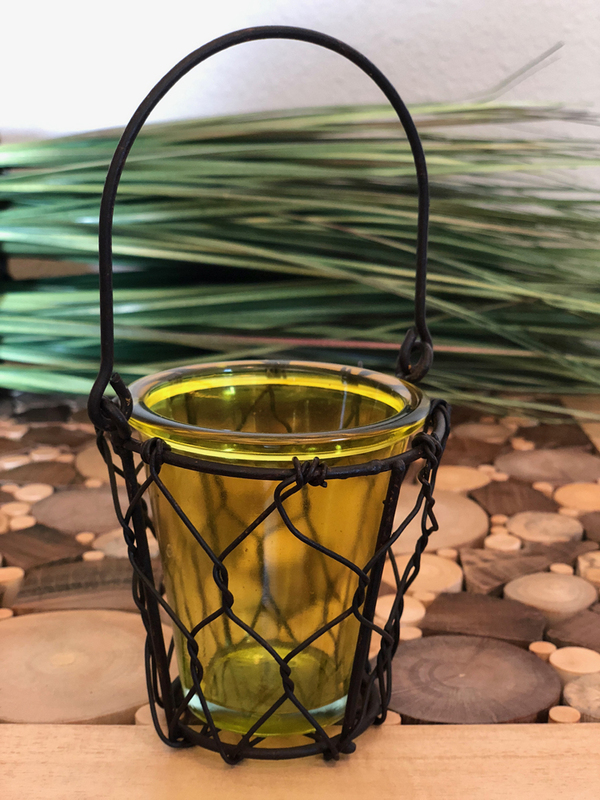 Glass votive holder are hand-blown and are either left natural or feature a colored finish.